Recently I was at Barnes & Noble, and I felt like I had gone back 40 years in time. I was there to buy a CD for my beautiful wife. To my amazement, there were records throughout the music section! 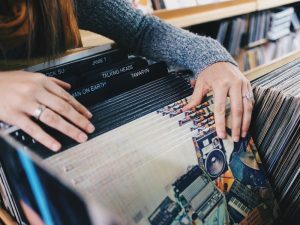 The salesman told me vinyl music has suddenly become popular again as people have realized how much sound quality is reduced in the digitizing process of making CD’s (and streaming audio). It’s amazing sometimes how often in these modern times to see old products and ways of doing things being “rediscovered” and appreciated anew. In this spirit, people are suddenly discovering more and more how the free market system is actually the one thing that can truly reduce health care costs while also improving care quality. In addition to how market freedom fosters healthier competition & innovation, a free market also improves the trust and relationship between the health care provider and the patient. Both my great grandfather and his father were medical physicians who provided cash-based health care. Being “country doctors” in the truest sense, often they were paid with farm produce. Both men were highly respected and appreciated members of their community, and had strong personal relationships with many of their patients and their patient’s families. They earned and humbly understood the trust their patients bestowed on them, and they worked hard every day to deserve that trust and respect. True, health care of yesteryear was significantly less complicated than it is today, yet patients considered it an excellent value – and usually an affordable one. In contrast, consider how our present-day health care culture has become incredibly politicized, bureaucratized, and increasingly socialistic. Socialism is an economic and political system wherein government – politicians and unelected bureaucrats – owns or at least controls and dictates every aspect of business operation, also known as a “command economy”. Without a doubt, Socialism ultimately fails wherever it is tried, invariably resulting in skyrocketing prices, shortages of supply, and declining quality. Health care is no exception. Recent examples of this failure include the ongoing skyrocketing premiums for “Obama Care” (admitted by its own proponents as being merely a stepping stone to the eventual imposition of “universal” or totally socialized health care), ever higher copays, reduced treatment options, the opioid epidemic, and massive amounts of ever growing documentation requirements resulting in doctors able to spend less time with patients. Besides the staggering human cost, the current epidemic of opioid overuse and abuse has overwhelmed our already overburdened health care and other social resources. It’s both tragic and criminal that past leadership has not only allowed this to happen – but has arguably enabled it!!! Many older Americans also are disappointed to learn there now is a Medicare part B (combined physical therapy/speech therapy) cap of $1,980 per year. This covers only about four typically-priced therapy sessions, at the very point in those American’s lives when appropriate therapy care could mean the difference between recovery, and much more expensive surgeries, spiraling medication dependence (including opioids for pain relief), and accelerated physical and cognitive decline or death. 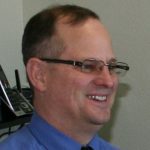 (https://www.medicareresources.org/faqs/what-kind-of-medicare-benefit-changes-can-i-expect-this-year/). Obviously, there are major problems today with health care and much less assurance with insurance, compared to the past. People however have been increasingly awakened to the fact that insurance is NOT health care – it simply is one way of paying for care which is becoming increasingly unpredictable and costly. Like music consumers, many patients long for a similar return to health care models of the past, and are happy to pay for the better value they receive. In the last election, Dr. Ben Carson talked a lot about how health savings accounts (HSAs) or Flexible Savings Accounts (FSAs) can make health care more consumer driven and affordable, and he was right! Using HSAs and FSAs as health care funding tools while depending less on insurance can give you an immediate discount on your health care costs. A significant portion of medical costs are directly attributable to the staffing required of doctor’s offices, clinics, and hospitals, simply to process insurance claims. Also, insurance will frequently disallow all or some portion of benefit claims, leading medical providers to raise their rates to make up for amounts not paid by insurance, for which they are often prohibited by law or insurance regulations from passing on to the patient. According to IRS Publication 502, Skilled physical therapy expenses qualify for HSA/FSA. As another side note, HSAs and FSAs have nothing to do with insurance or Medicare. Dr. Jarod Carter outlines this in his book, “My Cash-Based Practice” (2011). He also shared that for an individual in the 28% tax bracket paying $100 cash from their tax-exempt HSA/FSA for a cash-discounted physical therapy treatment, they are actually saving $28 per session, because they are using tax-exempt money from their HSA or FSA that otherwise would have been taxed at the rate of 28%. To give you a better sense of what that means, in order to pay for that SAME $100 visit in dollars on which you first have to pay taxes at the rate of 28%, you will have to earn something more like $135 to pay both the 28% tax on your income AND the $100 doctor visit. THAT’s the power of tax exempt HSA accounts. Also, most HSA/FSA programs provide their users with debit cards & sometimes with checks, allowing eligible payments to be taken directly out of those accounts. Alternately a patient often can take a cash-based clinic’s receipt and go to their HSA/FSA website and enter a reimbursement claim themselves, using a simplified, consumer-friendly form. The HSA/FSA reimbursement can then be either mailed to the individual or direct deposited into their regular checking or debit account, often within just a few days if not immediately – compared to the 30 to 60 days (or more) that a traditional insurance claim will take to process. Consider also some cash-based clinics (i.e. 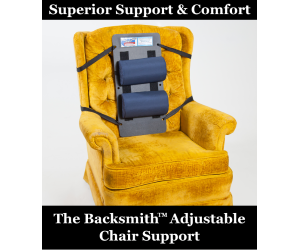 – my own Backsmith Advanced Physical Therapy in Weston) will provide bundled services (one flat rate for services rendered). This is a formula for tremendous cost savings that reflects the advantages of a truly free market, and it is completely consumer driven! Freedom works, every time it’s tried. Truly free markets have never failed America in the past (in spite of the rantings of demagogue politicians), and they are the key to better innovation and health care value for the future. For the record, I’m convinced this is one remake that is going to be a huge hit (coming soon to a clinic near you)!